I sprouted Eco Faeries in 2004 with the idea to create an entertainment company that delivers a quality service with a solid educational message. I'm now proudly part of a faerie community that creates positive change through sharing ideas on green living in the most fun and memorable way possible. My role in Eco Faeries is to manage, organise events, present, educate and maintain an authentic love for nature and faeries. I am also a marriage celebrant, author and my latest and greatest life challenge is that I am a mum to two gorgeous pixies. 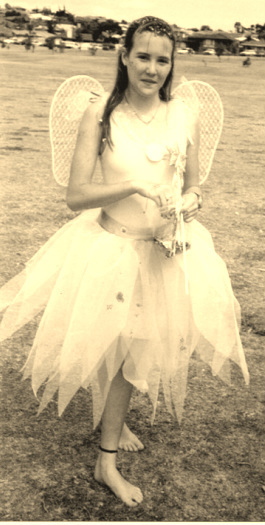 Unfurling my wings at the age of 13 for a birthday party company, I've worked as a professional faerie ever since. I'm inspired by the traditional faeries of folklore, particularly Celtic tales where my own bloodlines lead. I've wandered the world seeking traditional faerie tales while performing at international events. From parading in the Sydney Mardi Gras to promote equal rights to storytelling in Seattle, seeking traditional storytellers around Ireland and driving my magical bus, Esmeralda, throughout regional Australia. I bring my lifetime of experience as a faerie entertainer and more passion than a ripe passionfruit to educate families about living with a love of nature and all it's magic. "Inspiring the community to make changes can be done, but it must make the person feel good. This way they will want to keep doing it, and inspire others to do the same." Currently presenting on 'The Couch' which screens nationally in Australia and New Zealand. Faerie Cara's segment 'Talking Green,' covers all aspects of sustainability including living green, community events and animal rights. If you are looking for a magical wedding, a little different from the rest, then why not get married by a faerie. Faerie Cara is a registered marriage celebrant who will customise a magical faerietale marriage ceremony for you. 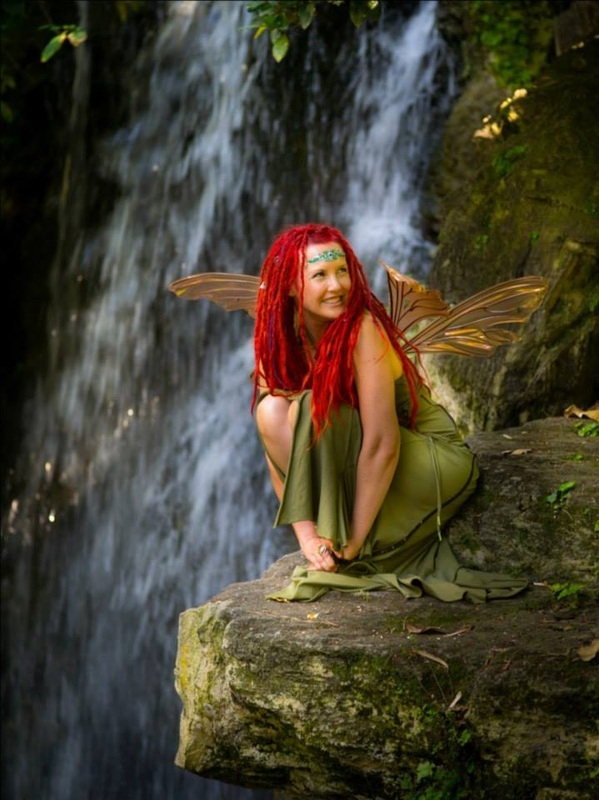 If you would like to book Faerie Cara for your event contact her directly through email.